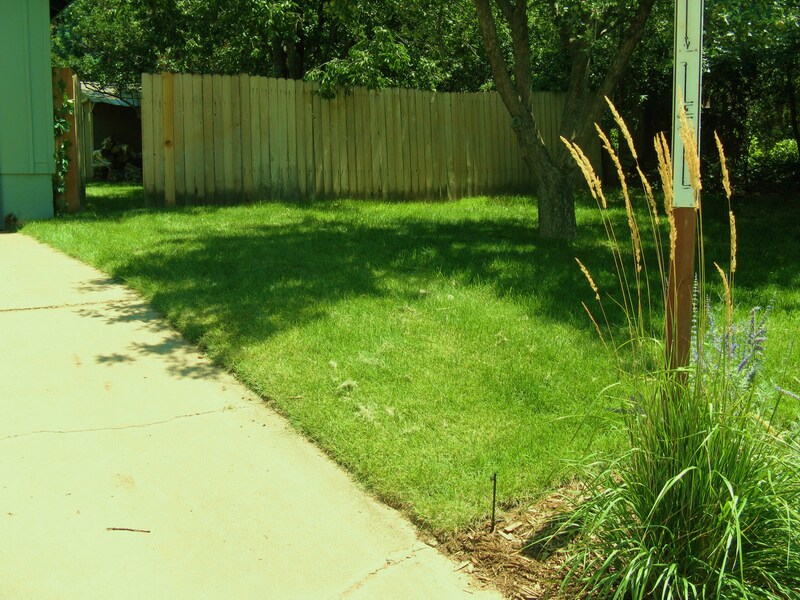 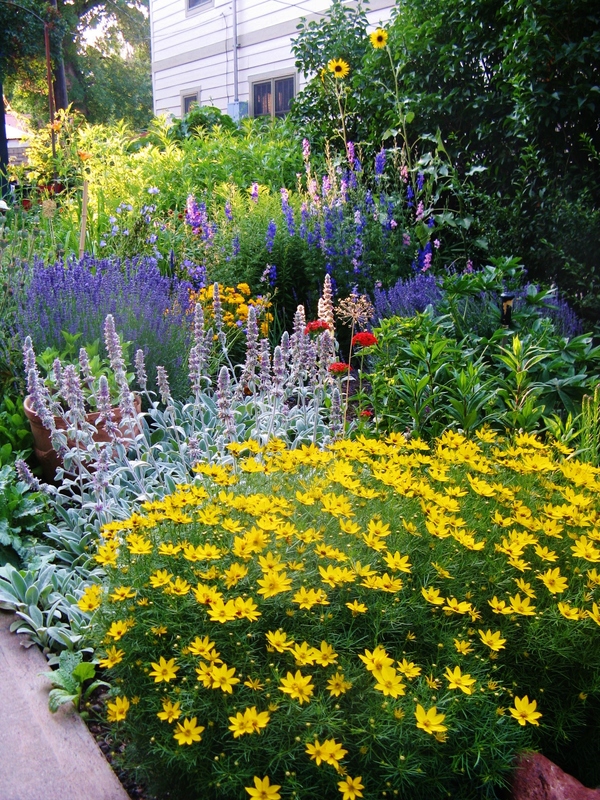 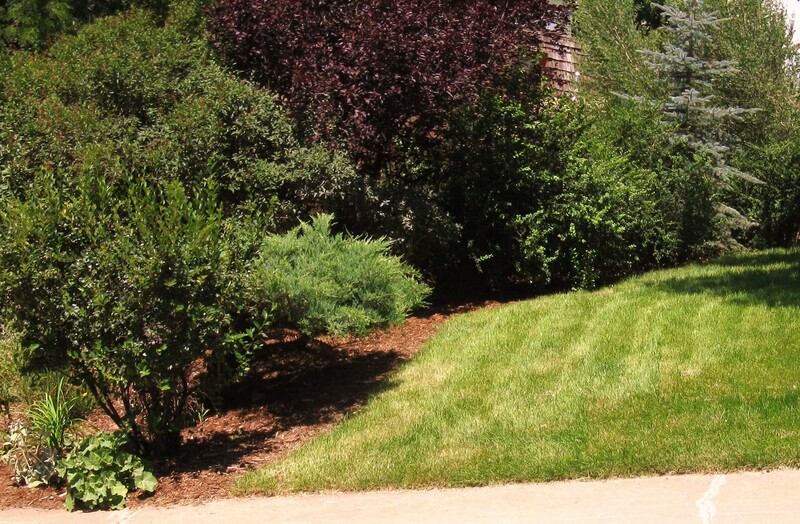 This project is a great example of how to eliminate smaller sections of lawn, define pre-existing garden beds, and to reduce the need for water. 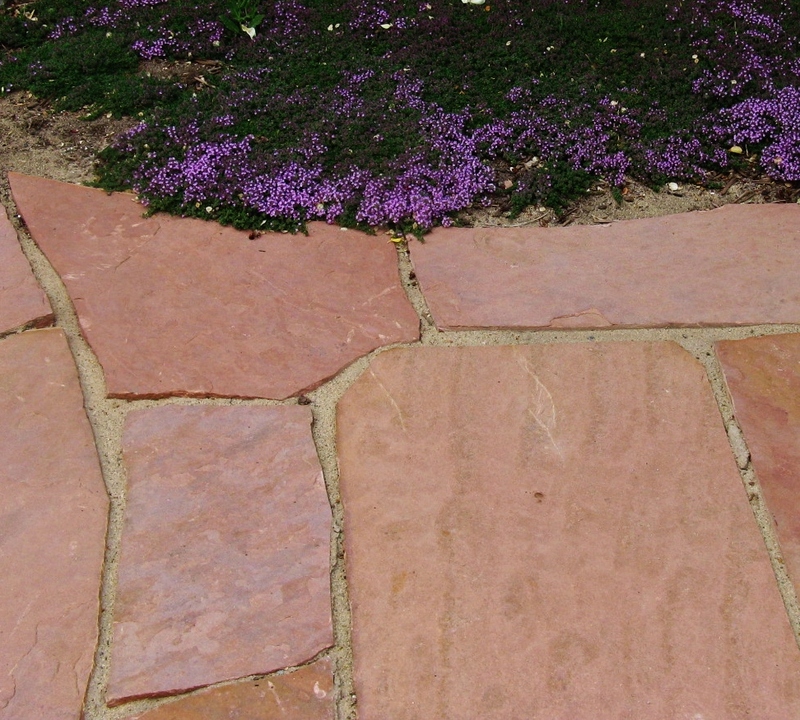 Within one season, the ‘Pink Chintz’ creeping Thyme filled in and has created a beautiful mat of evergreen foliage that is covered with pink bloom in early spring. 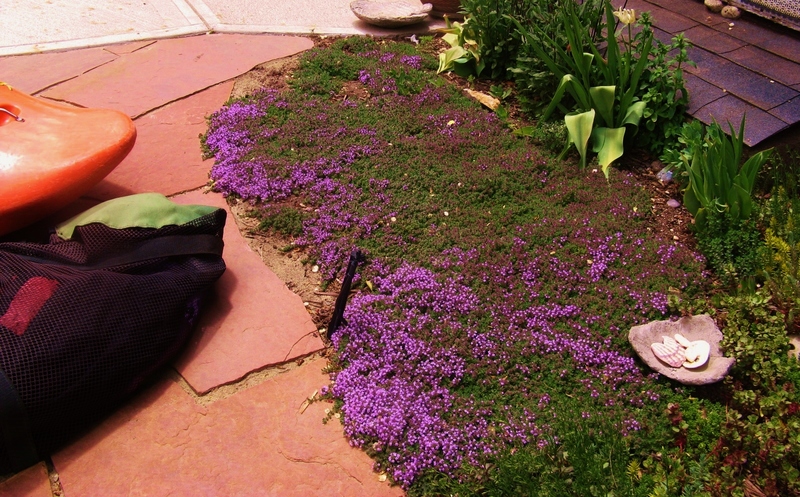 Better yet, most varieties of Creeping Thyme are a low water/maintenance alternative to a thirsty lawn. 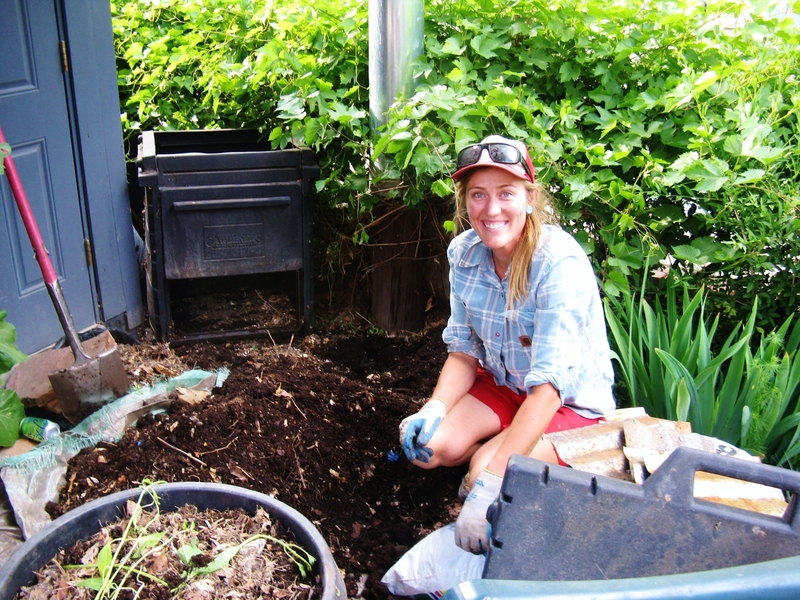 When I gardened at The Gable House Bed and Breakfast, I produced enough compost to top dress all perennial garden beds on the property. 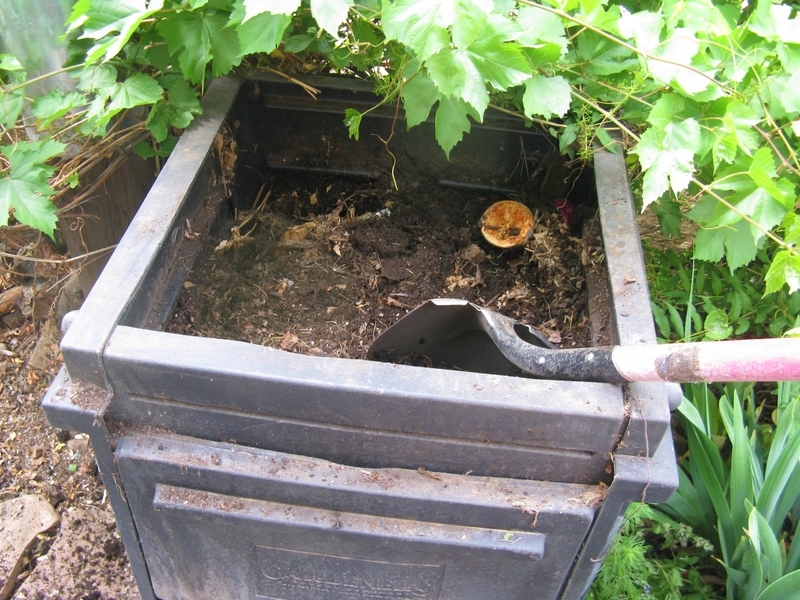 It all comes from this composting bin from Garden Supply. 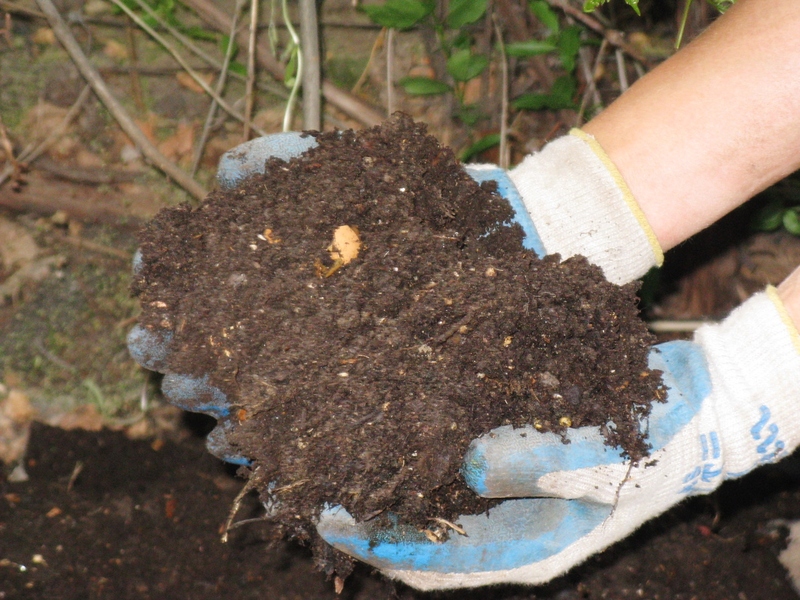 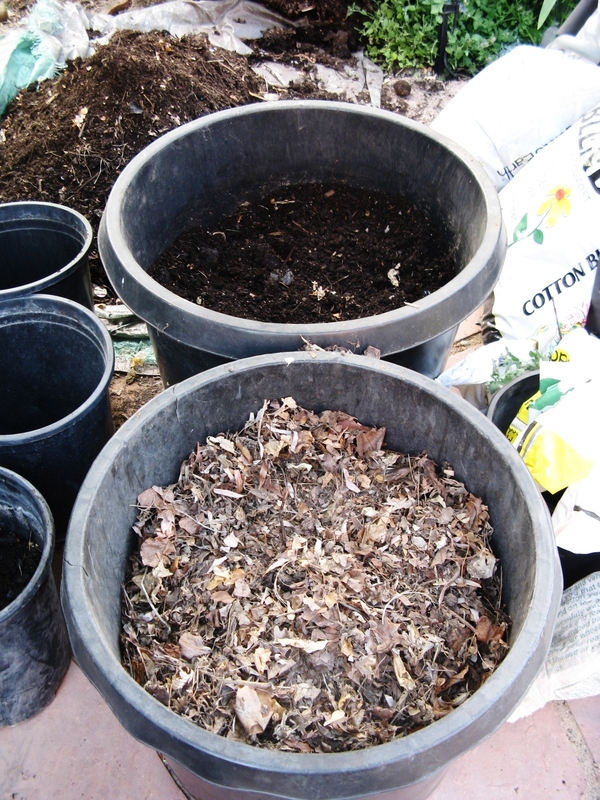 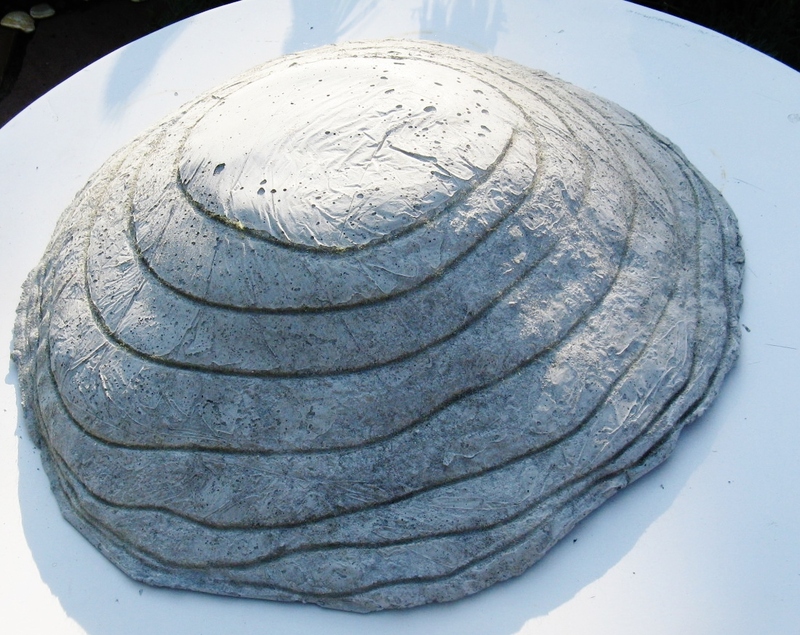 Compost that is ready to use. 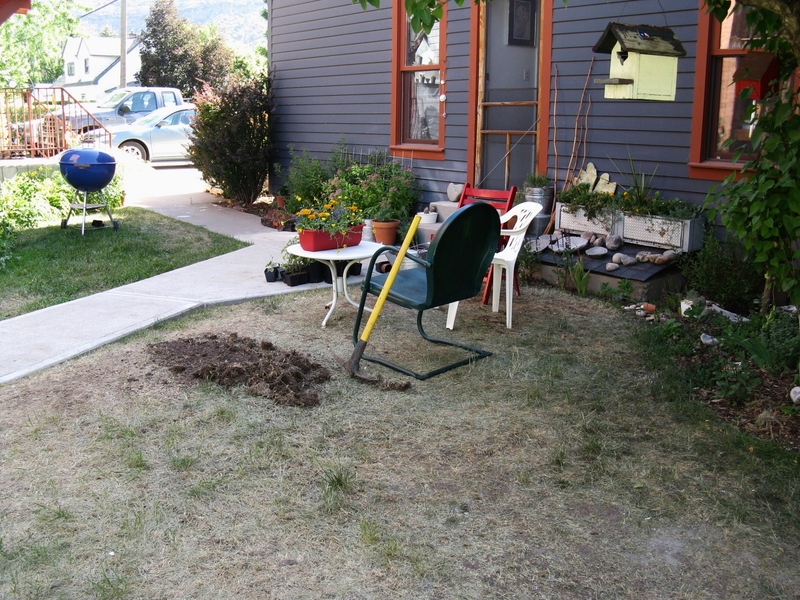 Dig out semi-circle, establish grade and install French drain. 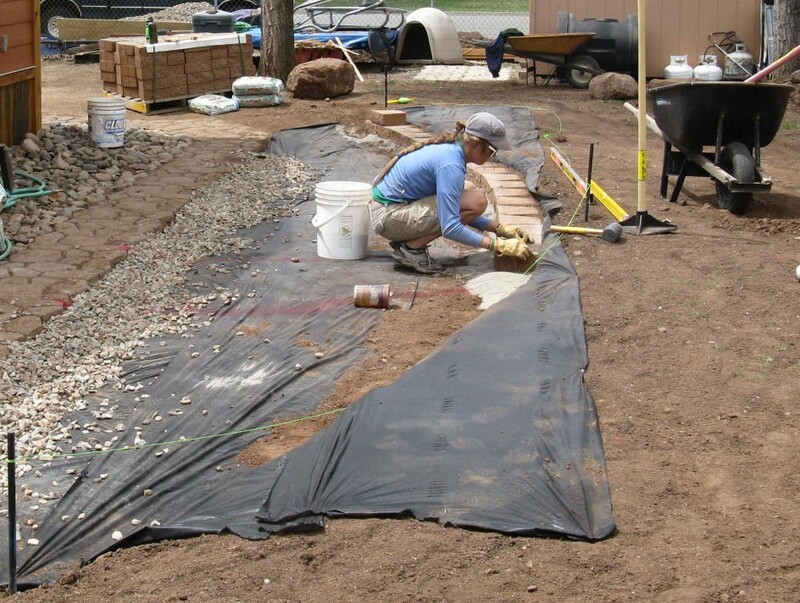 Install mini-retaining wall and back fill French drain. 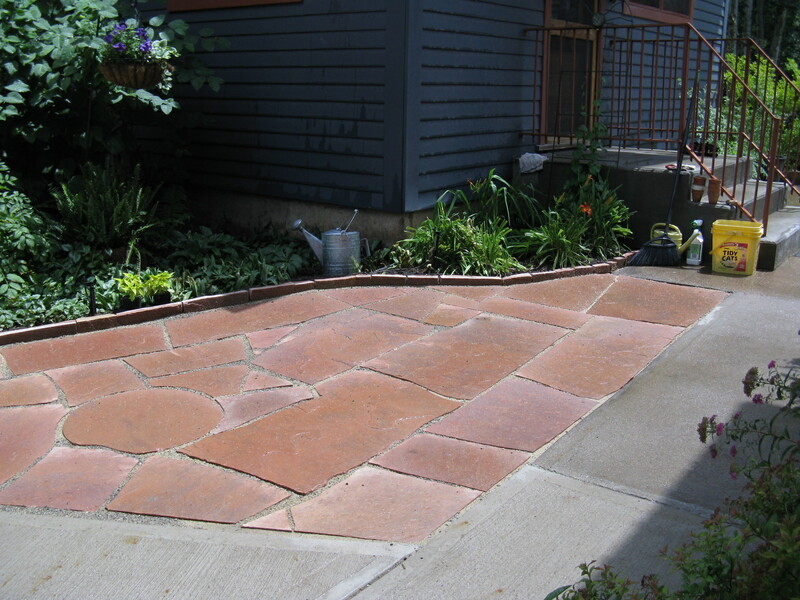 I used leftover pieces of flagstone from another project to create a walkway to the steps. 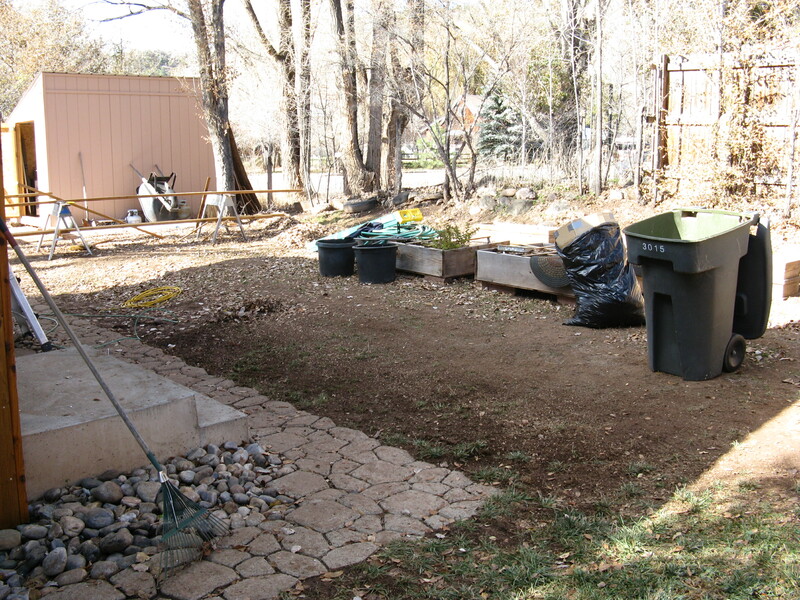 The remaining space is back filled with gravel. 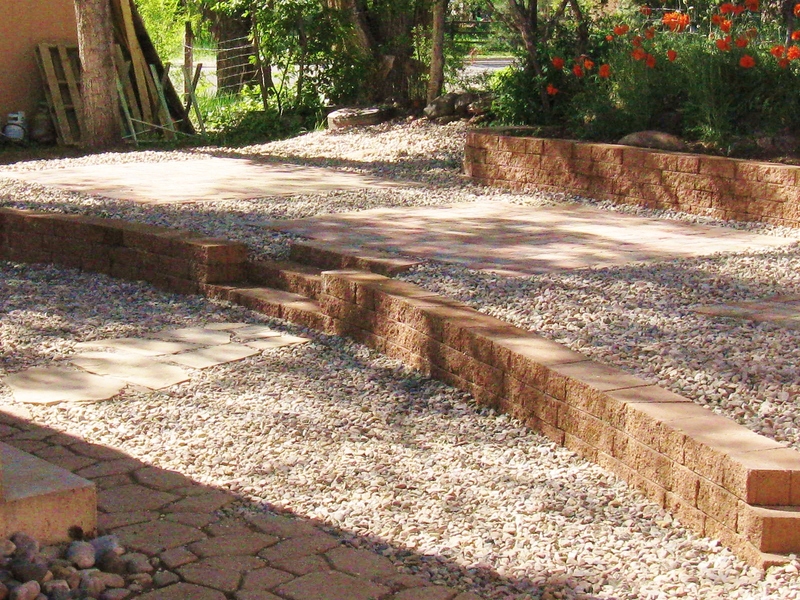 The retaining wall was the key feature that helped define this backyard space. 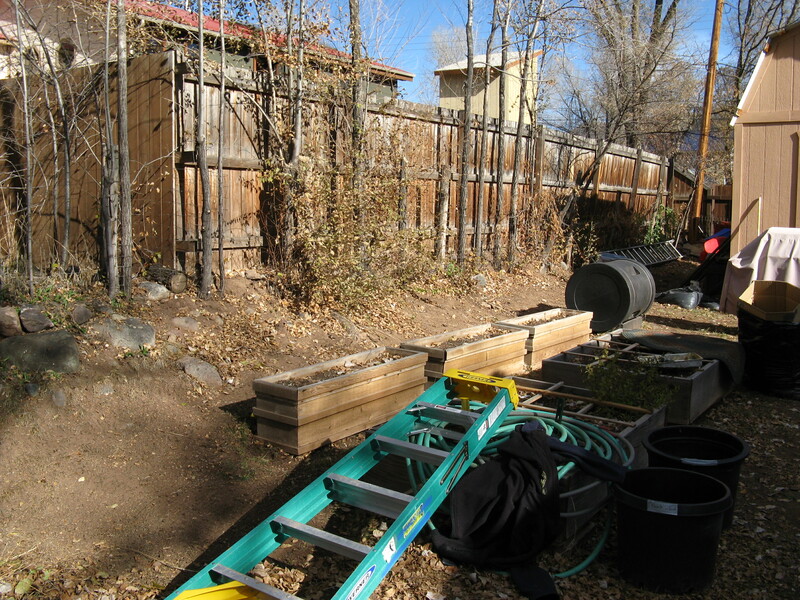 The completion of the top section started with another retaining wall. 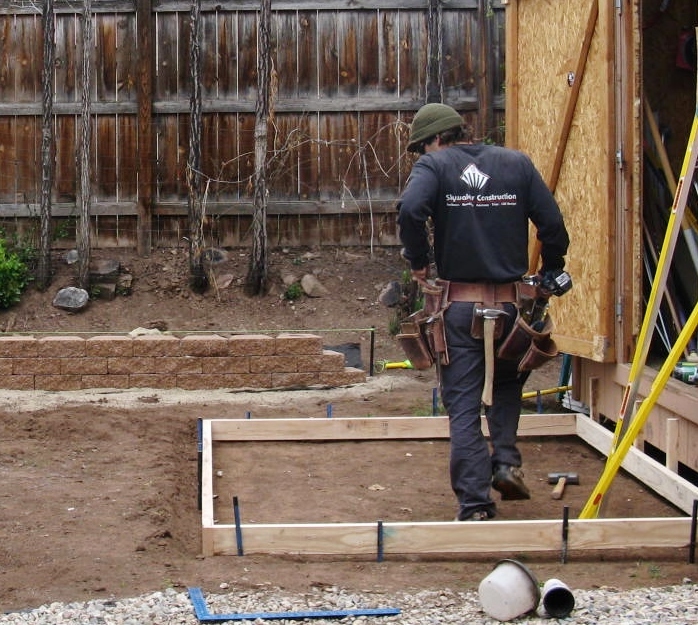 Abe in the process of getting the forms ready before we poured the concrete pad. 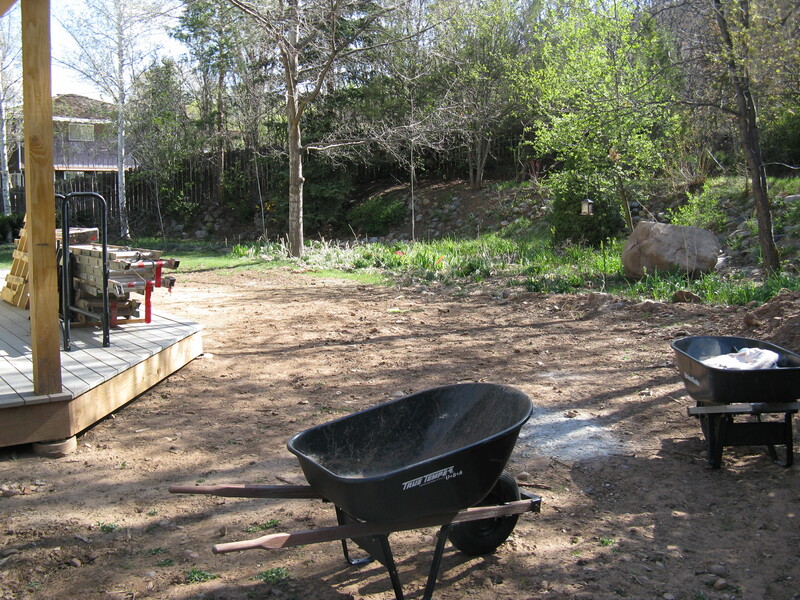 The beginning of the second retaining wall in the background. 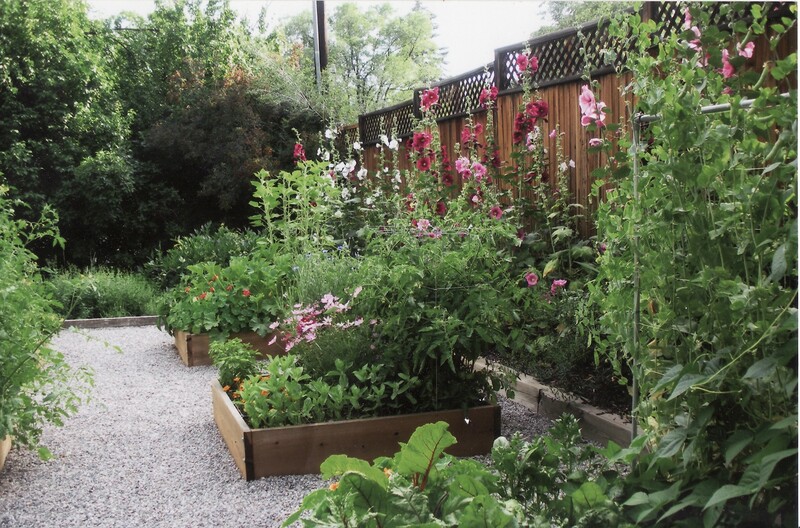 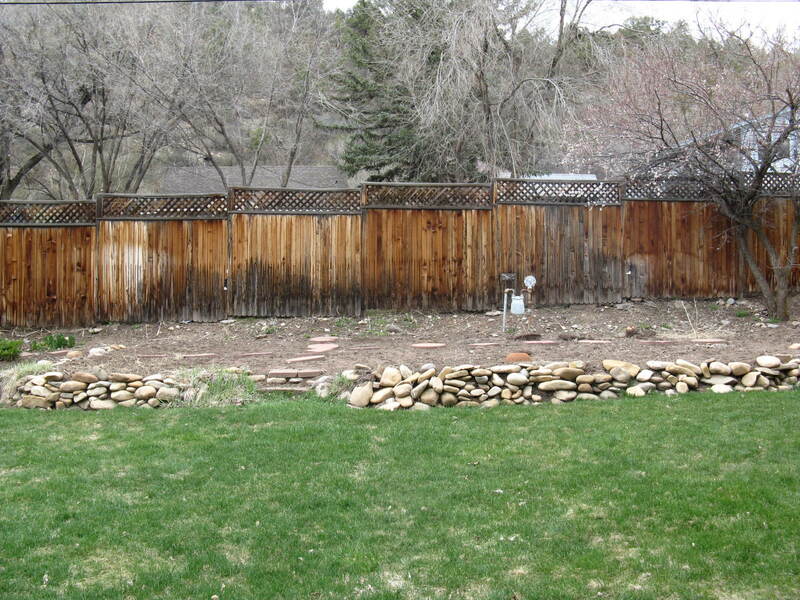 The retaining wall creates a new garden bed and prevents dirt from sliding down from the property line. 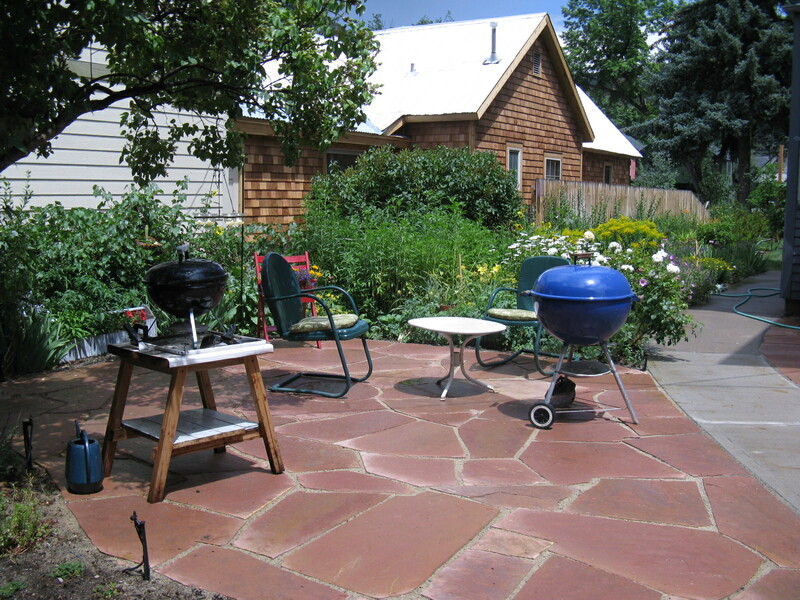 Above is the form that I used to created three separate brick patios on the top tier. 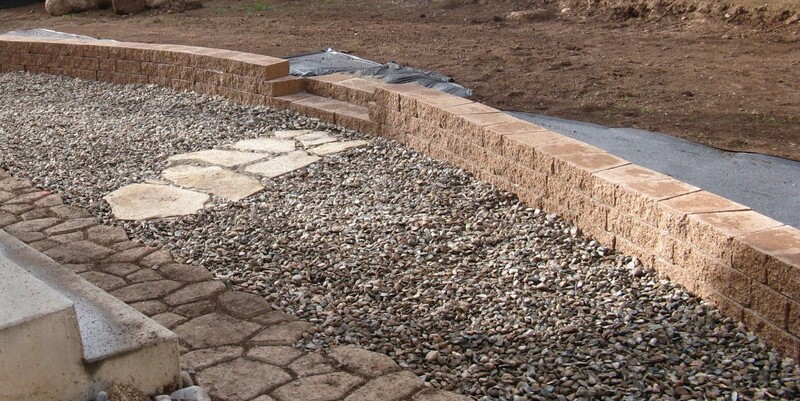 One of the first steps to landscaping is the hardscape. 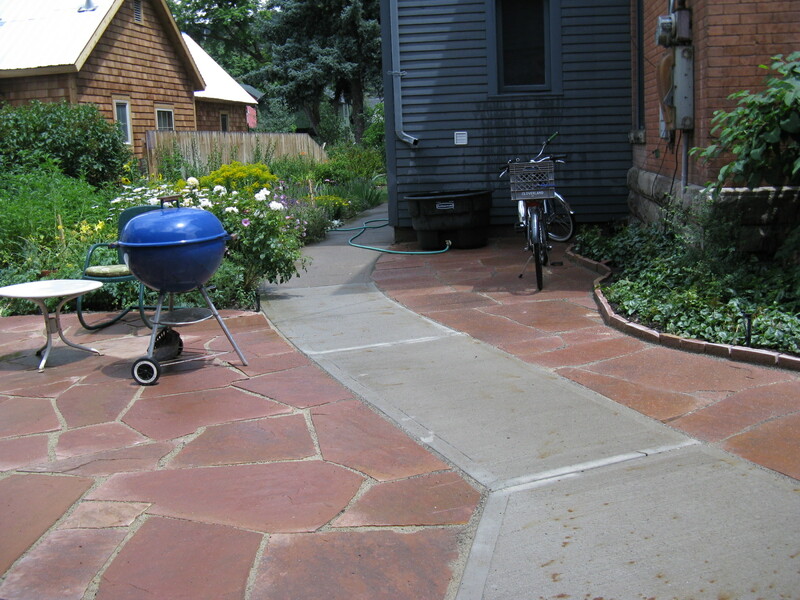 By addressing the grade and drainage issues, made it possible to create a design that would work for this particular space. 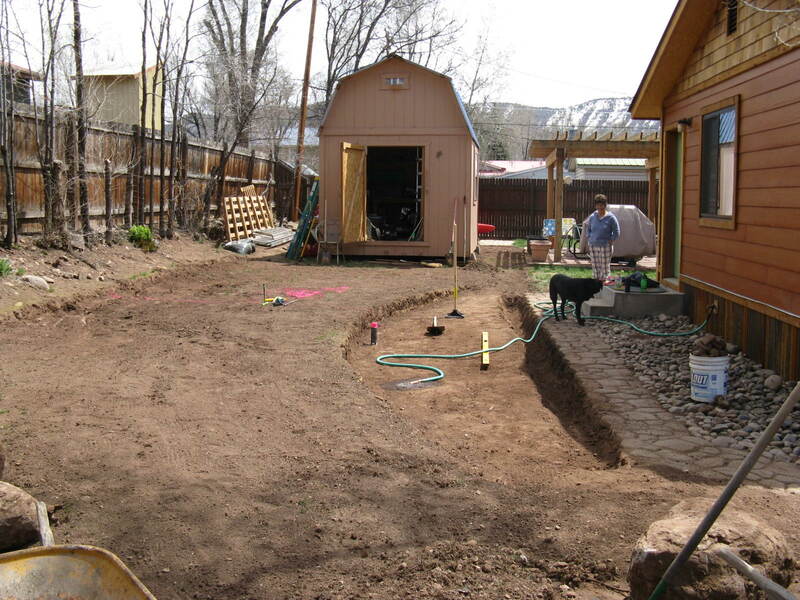 One of the main priorities of this project was to prevent water from draining back towards the house. 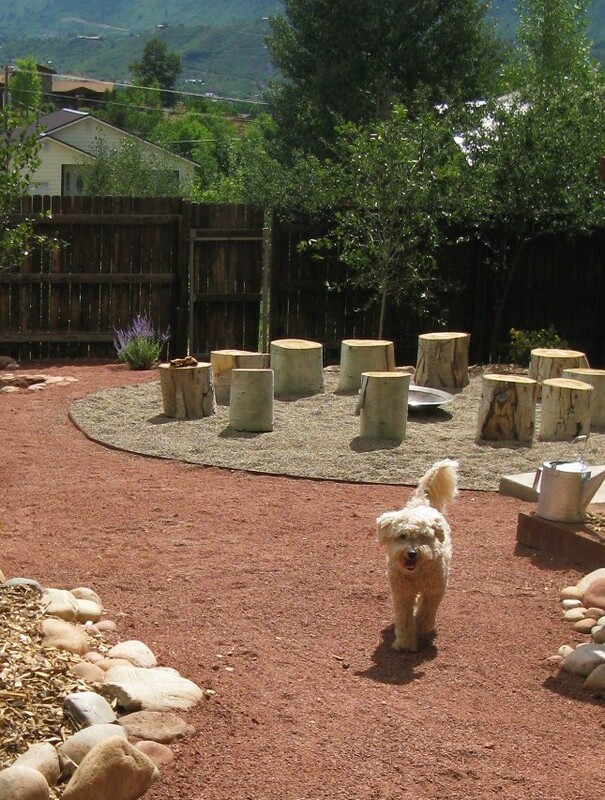 With a clear plan, it’s possible to take a cluttered and muddy space and make it beautiful and functional. 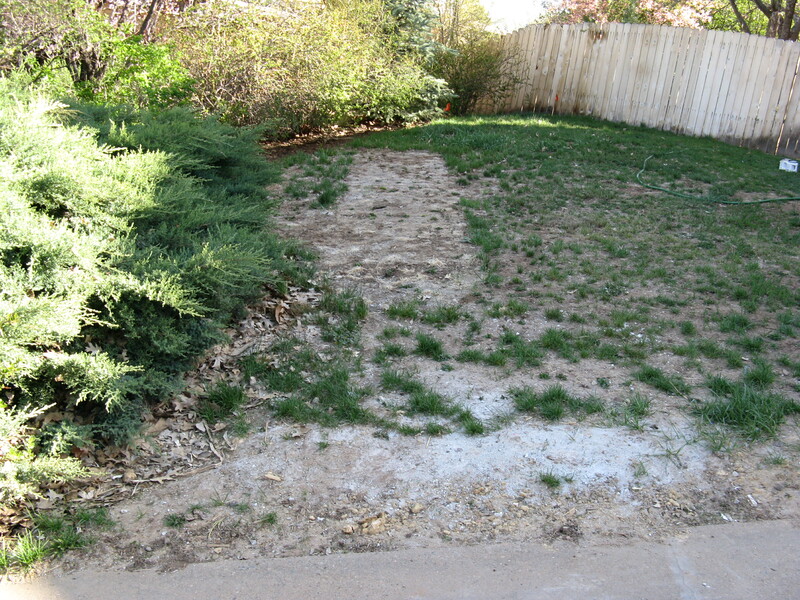 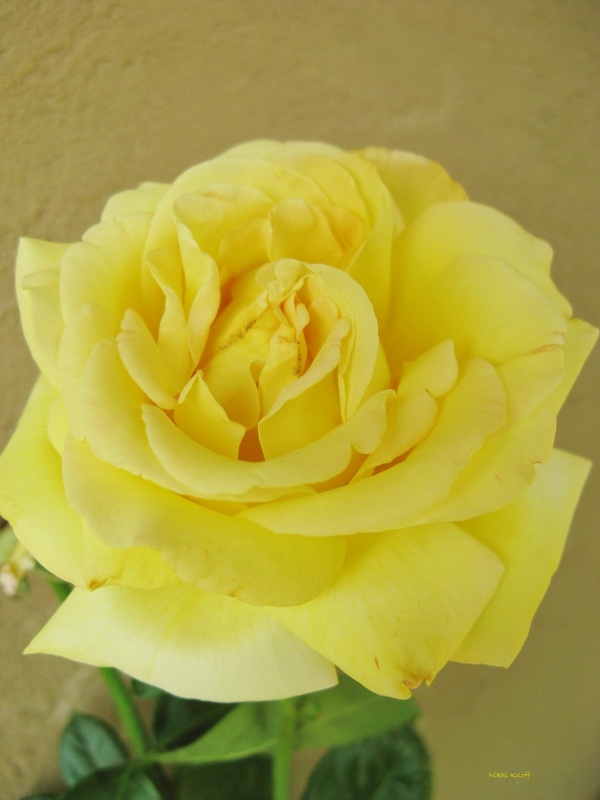 Tip: Construction on your home and compaction of your soil go hand in hand. 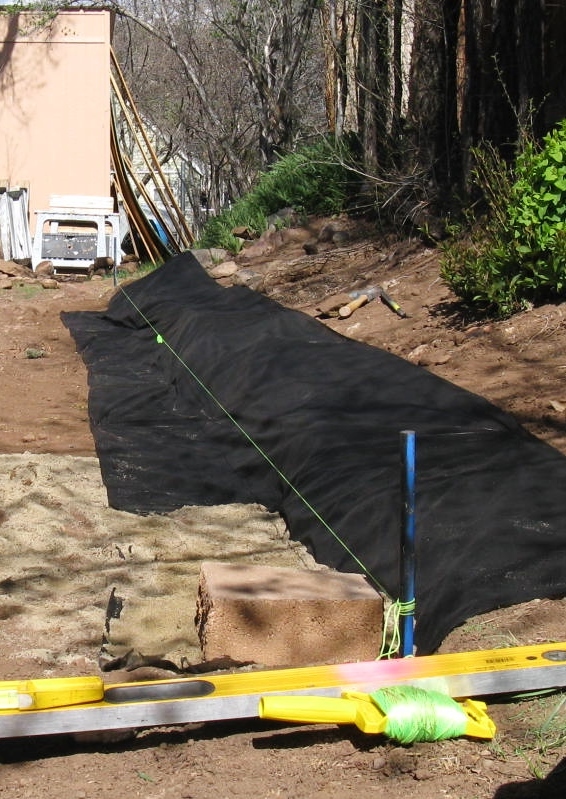 If you are remodeling your home or building from the ground up, it’s inevitable that your soil will become compacted and your preexisting landscape destroyed. 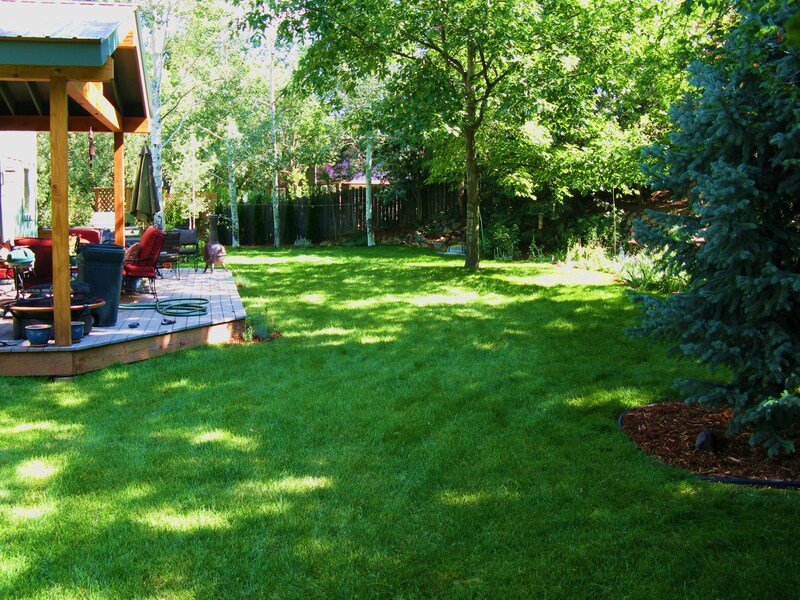 With that said, wait until most construction is completed before you start installing your landscape. 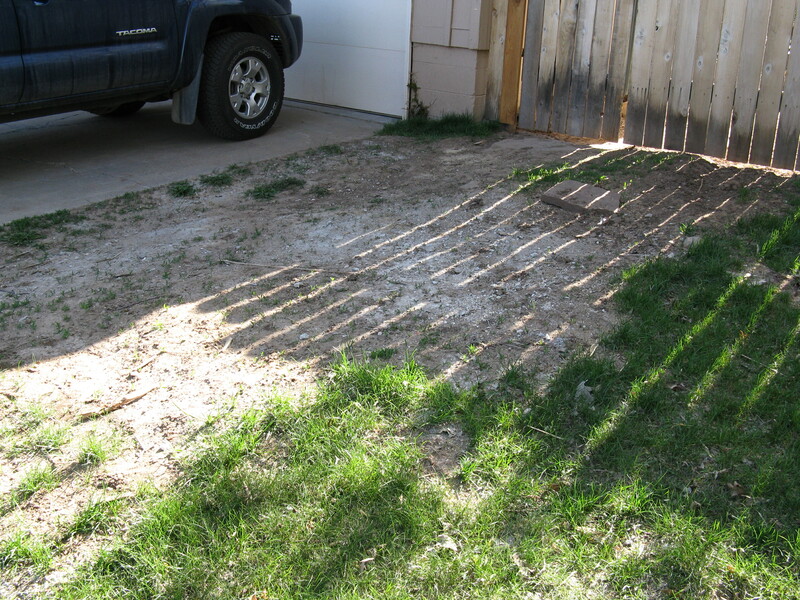 If we would have put in all this sod prior to construction, it would have been completely ruined. 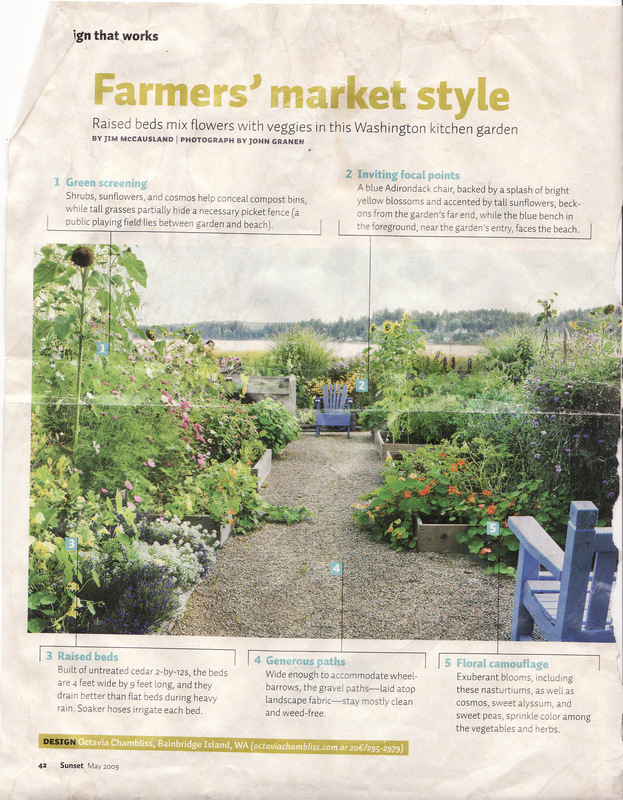 The article from Sunset magazine above or “the vision” helped determine a plan for this project. 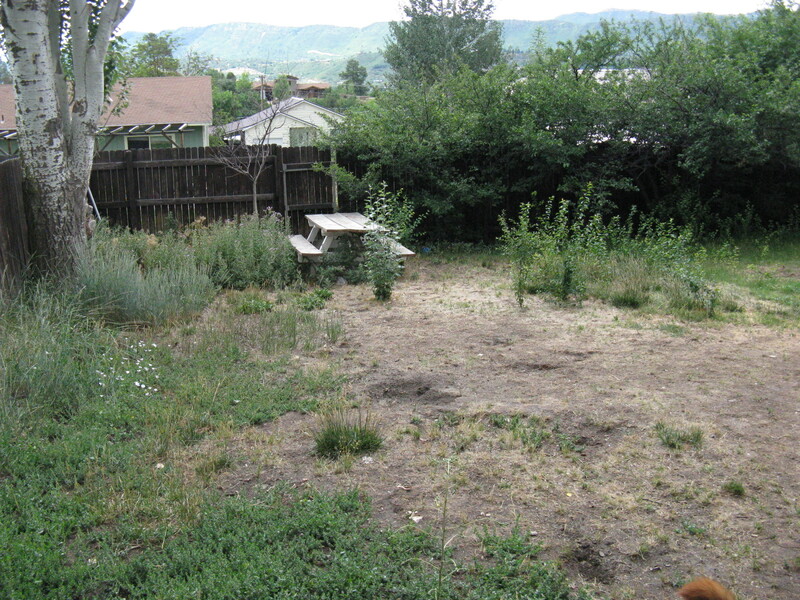 The veggie garden space before the renovation was really big and often got weedy and overwhelming. 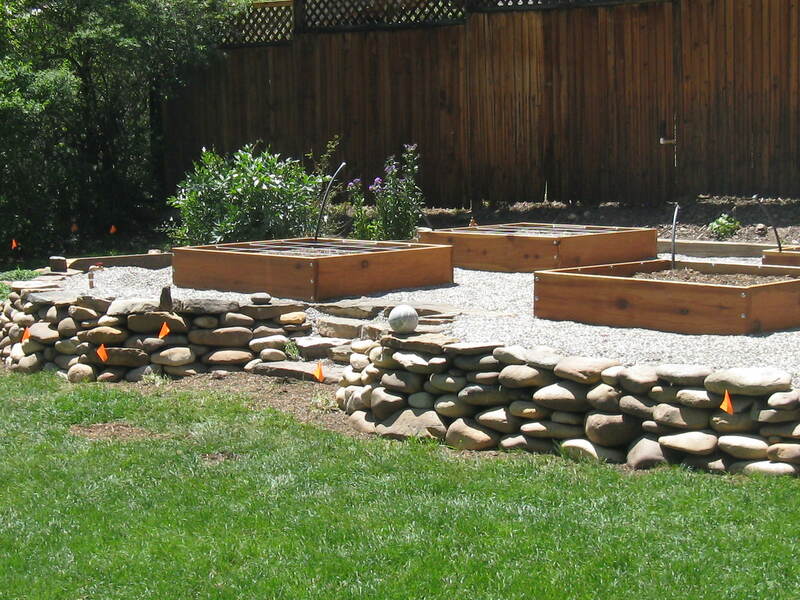 The six raised beds provide ample room to grow all different types of veggies, there is less weeding than before and all the beds are on drip irrigation. 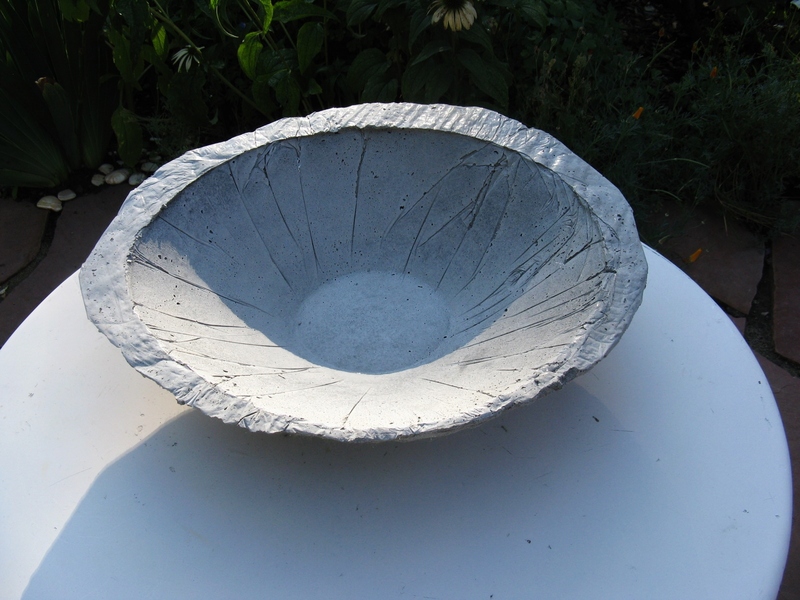 For my younger sister’s wedding, I hand casted 20 concrete bowls that were planted with different species of succulents. 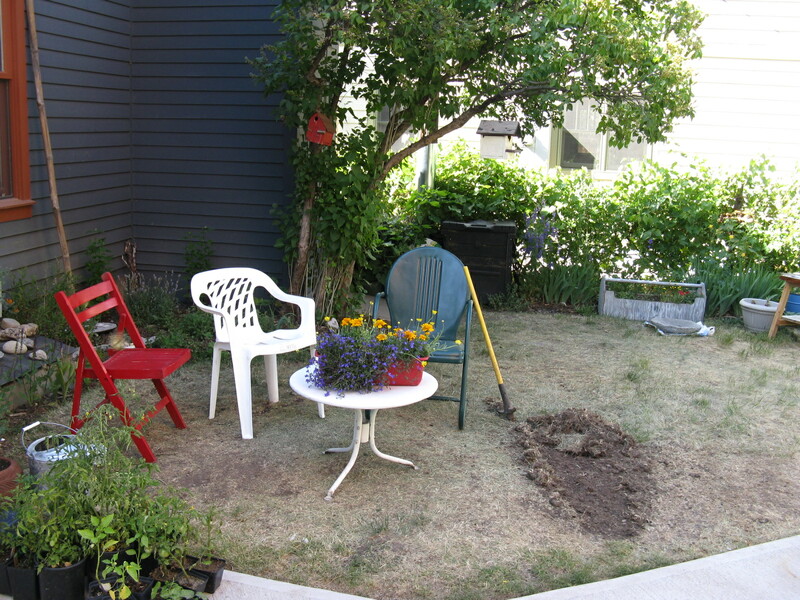 I must say that it was flattering to see the guests at the wedding fighting over who got to take home a succulent bowl! 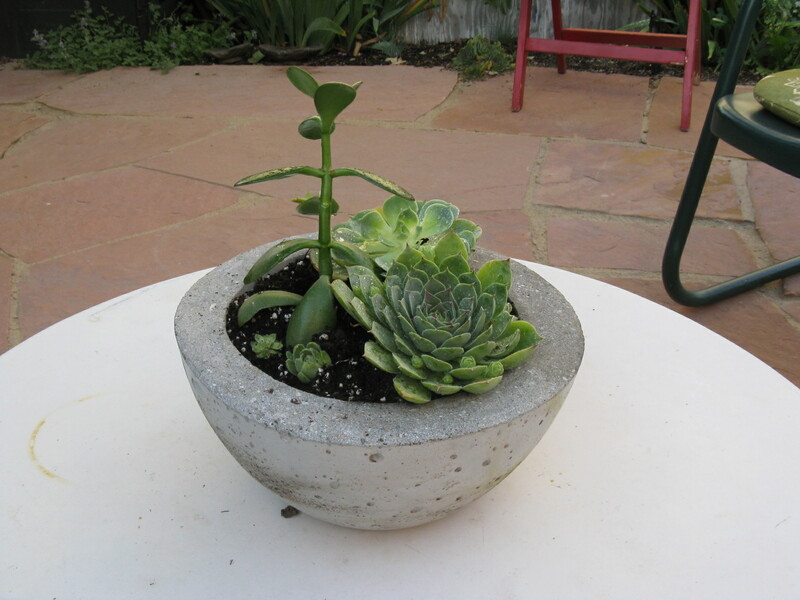 Custom made bowls that were eventually planted with succulents.